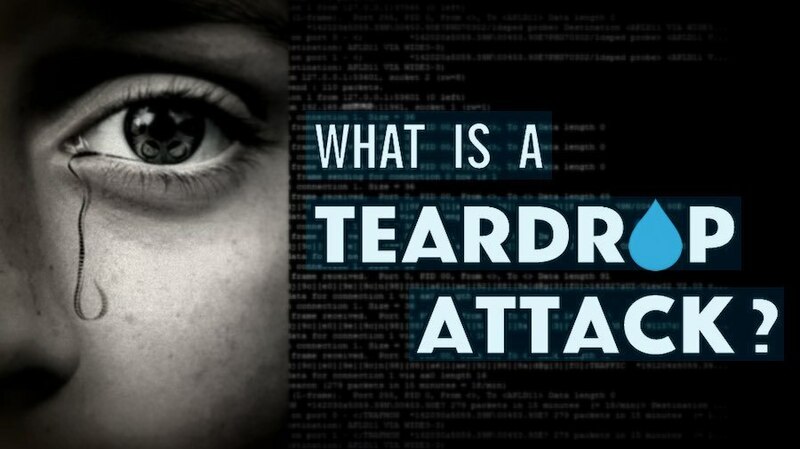 Teardrop Attack: What Is It And How Does It Work? Short Bytes: Teardrop attack is a type of Denial of Service (DoS) attack which exploits the fragment offset field in the IP header to produce buggy fragments which are then delivered to the target machine. Unable to rearrange the fragments, the victim keeps on accumulating the fragments until it crashes. As the name suggests, the Teardrop Attack works gradually by sending the fragmented packets to a target machine. 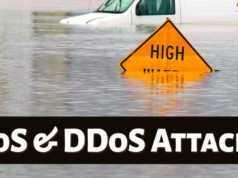 It’s a type of a denial-of-service (DoS) attack which overwhelms the target machine with the incomplete data so that the victim crashes down. In Teardrop Attack, fragmented packets that are sent in the to the target machine, are buggy in nature and the victim’s machine is unable to reassemble those packets due to the bug in the TCP/IP fragmentation. In this way, the packets keep on getting accumulated over the victim’s machine and finally due to the buffer overflow, the target machine crashes down. As you can see in the above figure of IP header, which operates at the network layer, there is a field called fragment offset field. Understand it like this — When a large amount of data is sent across the internet, the data is broken into the smaller fragments. Each of these fragments is assigned a number. When they reach the receiving end, these fragments are rearranged to reproduce the original data or message. To identify the sequencing of the fragments, the fragment offset field holds the necessary information using which the target machine rearranges the sequence. However, in the Teardrop Attack, the fragment offset field is made buggy by the hacker so the victim’s machine is unable to find the relative fragments. So, as the name suggests, the buggy packets keep on accumulating at the victim’s side like teardrops and ultimately it leads to the machine crash. However, modern networking devices can detect this discrepancy in a fragmented packet. Once they detect the problem, they simply drop the packet. 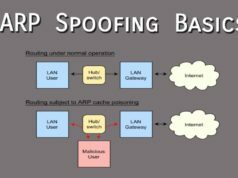 Also Read: What Is IP Spoofing And Denial Of Service (DOS) Attack?